SUDBURY, Ont. 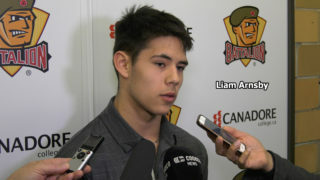 — The North Bay Battalion refused to lose Sunday. 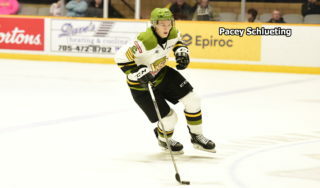 Luke Burghardt scored three goals, including the winner at 19:56 of the third period, and added an assist as the Battalion rallied from two three-goal deficits to defeat the Sudbury Wolves 6-5 in Ontario Hockey League action. Burghardt, who scored two goals to help North Bay down the visiting Barrie Colts 5-2 in its season opener Friday night, drove to the net off the right wing and chipped a Justin Brazeau feed past Sudbury goaltender Jake McGrath. 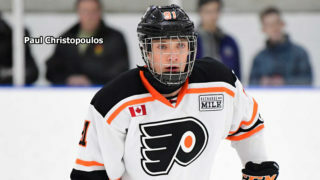 Burghardt leads the Troops with five goals and six points in two games after being acquired in a June 27 trade with the Guelph Storm. Burghardt, Brady Lyle and Daniil Vertiy scored goals in a span of 1:58 in the third period as the Battalion overcame a three-goal deficit for a road victory for the first time since Nov. 21, 2008, in a 5-4 Brampton decision over the Ottawa 67’s. 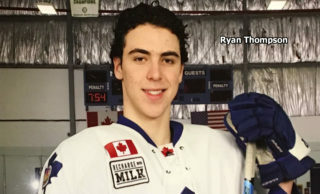 The Troops’ last road win achieved in the final minute of regulation time occurred at Sudbury on Feb. 1, 2008, when Graham McNabb scored at 19:32 in a 2-1 verdict. Mat Woroniuk earned the win in relief of starting goaltender Julian Sime, who left after giving up five goals on 24 shots. 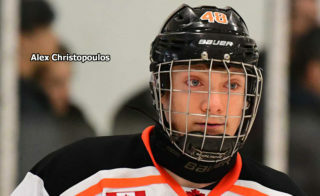 Woroniuk faced two shots in his first action of the season. Sudbury visits Memorial Gardens at 7 p.m. Wednesday to complete a home-and-home series. 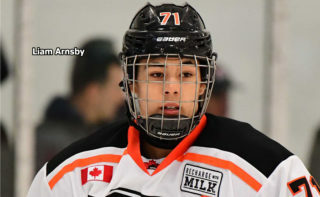 Michael Pezzetta had two goals and one assist and Nolan Hutcheson, Shane Bulitka and David Levin also scored for Sudbury, which lost 8-2 to the visiting Oshawa Generals in its season opener Friday night. McGrath faced 43 shots, including 19 in the final period. Levin gave the Wolves a 4-1 lead at 4:40 of the third period, but defenceman Cam Dineen replied at 6:51, rushing down the left wing, slipping past Conor Ali and beating McGrath to the stick side. Pezzetta struck at 10:03 on a partial breakaway, ending Sime’s time in net, but Burghardt sparked the comeback on the power play at 12:42, tipping a Dineen feed past McGrath from the lip of the crease. Brazeau had the second assist. Blueliner Lyle made it 5-4 at 13:29 when he drove to the net and chipped a Kurtis Evans pass over McGrath’s left shoulder. Luke Moncada also assisted. Vertiy tied it at 14:40, cruising across the mid slot and beating the screened McGrath to the blocker side. Jesse Saban collected the lone assist. The teams split goals 16 seconds apart in the first minute of the game, with the Troops capitalizing on an errant clearing attempt by McGrath, who couldn’t get back into position before Brazeau corralled the puck and fed it to Burghardt for a 1-0 lead at 27 seconds. Hutcheson then fought off Adam Thilander to knock home a Pezzetta rebound from the left lip of the crease. A turnover in Battalion territory resulted in Sudbury’s second goal, at 7:02 of the middle period, when Bulitka beat Sime to the stick side. Pezzetta made it 3-1 at 11:14, sweeping a Cole Candella rebound into the net off the right wing. The Troops ran into penalty trouble when Brad Chenier and Saban received minors nine seconds apart, but the Wolves failed to take advantage despite good chances for Candella and Dmitry Sokolov. Sime, who made eight saves in the period, also found a Kyle Rhodes shot through traffic in the first minute. BATTALION BULLETS: No attendance was announced at the Sudbury Community Arena on a sun-splashed day when the temperature in the Nickel City hit 32 degrees … The last time a member of the Troops scored as many as three goals in a game was Feb. 13, 2016, when Mike Amadio netted five goals in a 6-5 road loss to the Kingston Frontenacs … Opening lines included Burghardt centring left winger Chenier and right winger Brazeau, Adam McMaster centring left winger Moncada and right winger Brandon Coe and Kyle Potts centring left winger Vertiy and right winger Alex Robert. Patrick Brown pivoted left winger Daniel Walker and Evans on right wing … Defence pairings saw Saban with Thilander, Eric Allair with Lyle and Dineen alongside Riley Bruce … The Battalion was without Travis Mailhot, Simon Rose, Rhys Forhan, Brett McKenzie, Andy Baker and Jacob Ball … Brown and Evans made their OHL debuts … Forhan started serving a three-game suspension issued for a major for checking from behind on Barrie’s Kade Landry, who many thought was among several Colts who took a dive Friday night … Ball suffered a charley horse in the Barrie game … Sudbury’s Darian Pilon served the first game of a two-game suspension following a match penalty for slew-footing against Oshawa … The Battalion went 1-for-5 on the power play. Sudbury was 0-for-3.